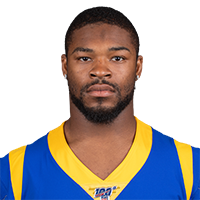 Published: Aug. 25, 2018 at 06:13 p.m.
Los Angeles Rams running back John Kelly spins and muscles his way into the end zone to give the Rams the lead against Houston. Published: Aug. 25, 2018 at 05:28 p.m. The Rams take the lead after running back John Kelly punches in a 4-yard touchdown. Published: Aug. 18, 2018 at 04:56 p.m.
Los Angeles Rams running back John Kelly rushes for a 2-yard touchdown vs. Oakland Raiders. Los Angeles Rams running back John Kelly zooms by defenders for 40-yard gain.